Finding the perfect laptop computer really comes down to what you want to do with it. 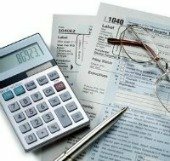 If money is an issue, it's important that you know the basic specs (specifications) of computer hardware in order to cut costs where you don't need the extra firepower. Hopefully I can pass on some insight! Before you even start to research laptops, ask yourself what you plan on doing with it. Do you need a laptop just for word processing, Internet surfing, and taking notes? Do you like to play games on your computer? Does your degree path require classes that use intensive graphic or video editing software? To clear up a any confusion, a notebook and a laptop are the same thing. A netbook is a much smaller version of a standard laptop (notebook). The sole advantage of a netbook is its convenient size. If you haven't seen these things, they are dinky. I seen a girl in my class use her purse as a bag for it. Basic netbooks are not as powerful as notebooks, or as versatile. Though they serve their purpose for note-taking, I wouldn't recommend buying one unless using it almost exclusively for that purpose. I wanted to stay on the general 'theme' of reviewing student laptops, presenting the most solid, best performing PCs on the market today. However, there's no denying the fact that a percentage of college students are into raising the bar on graphics capabilities, ie: gaming, web based applications, etc. So I added a few brands that handle those well, too. HP Laptops - I still see most students at my school with this brand (this one or Dell). HP is well-known. They're solid machines for the most part (laptops anyway) and they have great purchase perks if you buy through their website (printers, Microsoft Office discounts, etc.). Toshiba Laptops - I've personally been using a Toshiba Satellite for over a year now. No complaints...I got a great deal on it. My main gripe is that preloaded software on it is a pain in the neck to take off, but that's beside the point. Another solid PC, one of the better models currently on the market. 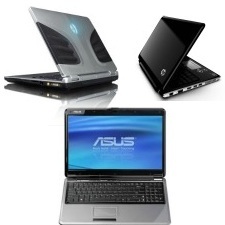 Asus Laptops - That's Asus, not to be confused with Acer. Asus has been a hit with technology enthusiasts lately. They claim that Asus is a superior brand, and doing a quick Google search on Asus reinforces what they're saying. Students don't bring this brand in with problems very frequently, so that's probably a good thing! Alienware Laptops - Probably not the most economical of student laptops, but I drool when I see one. Alienware (now owned by Dell, unfortunately), specializes on graphical power (and sexiness, apparently). A little on the expensive side, so they are not recommended just for taking notes/doing homework. If you have a rich uncle, ask for an Alienware PC. I have a personal bias against Dell and Gateway computers. These two seem to give students the most problems of all other brands. As for Apple, or Macbooks, I've heard good things about them. Macbooks seem to be more for graphic enthusiasts. Even though Apple's operating systems are becoming more and more compatible with Microsoft software, it still seems like a headache jumping through hoops just to get stuff to work. Top that off with an expensive price tag, and you can probably check them off for things you don't need for college. Don't be lazy :). Search around. Find the best deals at the current time. During the summer most brands will have back-to-school specials running, which you can pick up some freebies by buying through their websites. If you know nothing of computers, I would suggest going to Bestbuy. I'm not endorsing the store per-say, but last time I checked their employees didn't work on commission. They will be able to point you in the right direction if you explain to them you're looking for student laptops. I like the fact that you're not vultured over when you walk into their store. Basic computer specs. Which hardware is important? On the other hand, if you have a basic understanding of what you need, check out Amazon or TigerDirect to pick up some good deals. What sounds like a good deal might not be so great. Keep in mind when you're buying older student laptops that the hardware/software may be out of date. As of 2011, you need Windows XP at the very least for your operating system. Make sure the laptop also has USB ports, an optical drive (CD/DVD), and Internal wireless capabilities. If you are that strapped for cash, try looking on Craigslist or your school's bulletin board first. P.S. 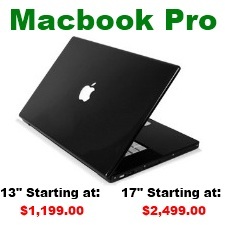 -- Please do the math if you're considering 'renting' a laptop from stores like Rent-a-Center, Aaron's, or the like. Their rent-to-own agreements will have you paying twice as much for a used computer than buying a new one.